PC Workshop was asked to diagnose why a Dell computer tower sometimes refused to start and then wouldn’t connect to the internet when it did, he had replaced his router TWICE and concluded that it must be his Ethernet card. The actual problem was the capacitors on the motherboard leaking or actually blown and no longer carrying out their workload. A visual inspection told you that this computer was very dated and the customer informed PC Workshop that it was at least 12 years old and as long as you weren’t in a rush it would eventually come to the windows XP screen, but speed being the very essence for internet connection and surfing it was obvious that any monies spent on this computer would be a very short term fix. 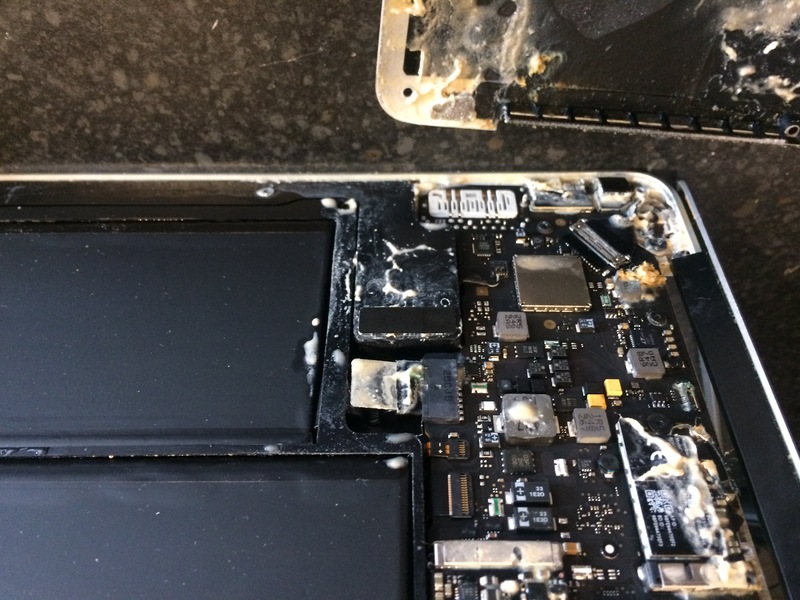 We advised the customer not to waste a penny on his computer but to consider his options! After discussing his usage and requirements we came to the conclusion that a new computer was unnecessary as it wasn’t to be used as a gaming machine or that he had any other special needs such a photography / video editing work but a far more upto date would not only suffice but save him in the region of at least £200. His next concern was for all his old data which included 17Gb of photographs not to be lost! PC Workshop pointed out that we would transfer all his documents, photos etc onto his “new” computer at no extra cost. The deal was done and we loaned him a notebook whilst the work was completed as he wanted to check email and bank monies as he had been away for a holiday, the computer was delivered and set up in his home for a small fee later that same day and we had a very satisfied customer happy in the knowledge that his “new” computer also carried 3 months warranty on all hardware. PC Workshop carry refurbished computer and laptops as part of normal stock, save yourself money on your next replacement system give us a ring to find out what your options are before paying over the odds for a system that you only utilise 25% of.